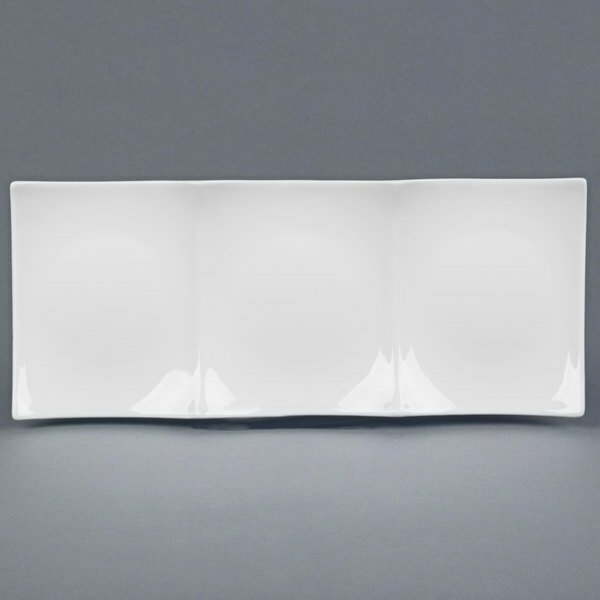 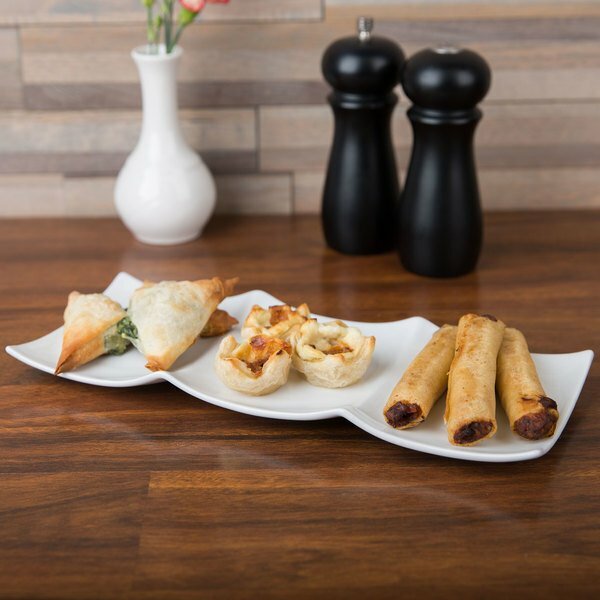 Serve three different tasty tapas or appetizers on this bright white Fortune china divided tasting plate. 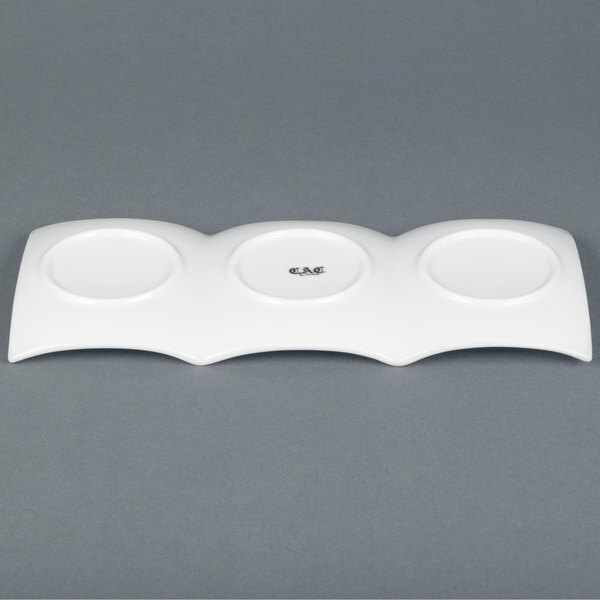 Thanks to its stylishly upturned corners and edges, your exquisite creations will stay put! 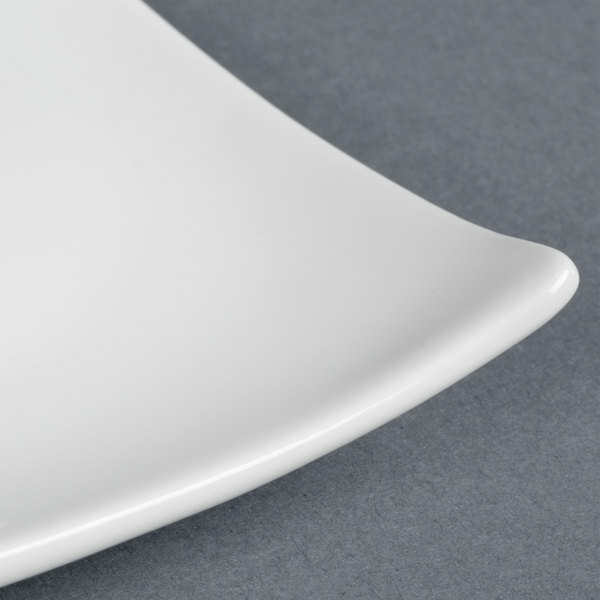 It's like having three separate plates in one footprint, creating a unique style that your patrons are sure to notice.